Our mission is to provide supportive, empowering, educational and culturally sensitive programming that promotes holistic wellness for Urban Aboriginal Youth. 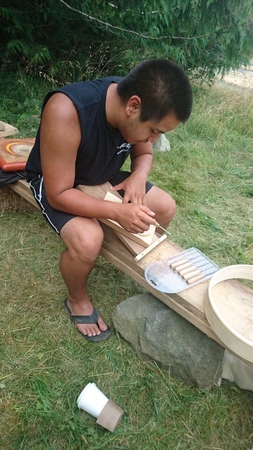 The VNFC Youth Department provides a variety of programming and events to stimulate a positive, supportive, and creative environment for Aboriginal Youth. Want your voice to be heard? Do you like planning activities and events? Do you need help getting into school? Housing? Social Assistance? Finding a job? Do you need support going to appointments or for anything else? Do you have any questions? If you do please contact us. Do you want information on how to make better choices in your life? Do you want to start looking at your alcohol and drug use? Questions? contact us. Since 2002, the VNFC Youth Team has participated in Tribal Journeys. Summer programming offers a variety of outdoor education and fun activities, like beach days and trips to the PNE! Annually we travel to Gathering Our Voices Aboriginal Youth Conference. In addition VNFC Youth Department hosts an annual LGBTQ2 Aboringal Youth and Allies Conference. For more information please contact us. 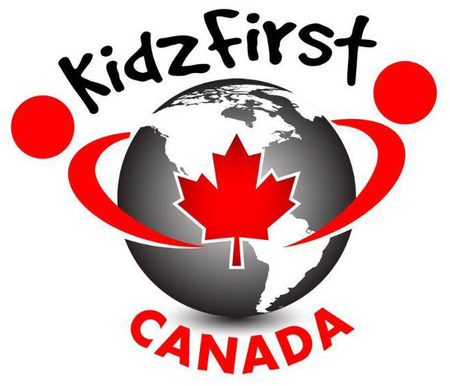 The Victoria Native Friendship Centre is very excited to announce a new funding partnership with KidzFirst Canada. 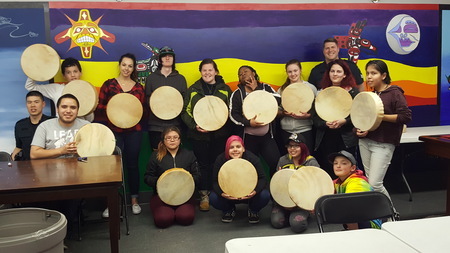 Kidzfirst Canada is generously supporting the RAVE Culture Youth Centre, with this funding for the VNFC Youth Department we will be able to support culturally competent programming for Urban Aboriginal Youth . We are so greateful for this funding and look forward to working together with KidzFirst Canada to provide safe and child centered programs for youth on the Traditional Territory of the Coast Salish Peoples.